A few weeks ago, I finally got to meet the woman who taught me everything I know about making awesome ice cream. Some might argue that you can’t really learn from someone you haven’t met, but I say that’s exactly what books are for. I have gained a true culinary education through many a well-written cookbook. 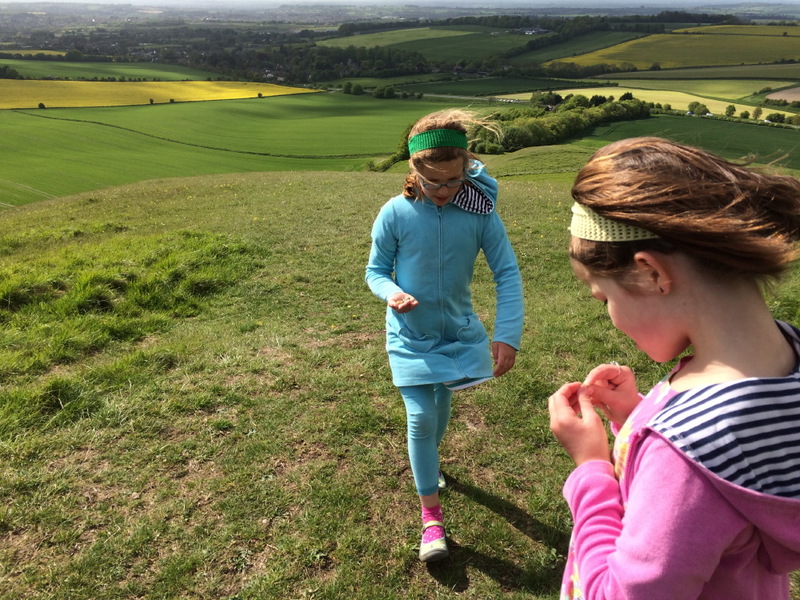 Today, I want to introduce you to one of my teachers (and continue a little series of posts here at Boyds’ Nest News) with some words about Jeni Britton Bauer. I’ve written about Jeni’s ice creams before, when I had been experimenting with her ice cream cookbook for about six months and was very pleased with the results. Now, two years and many quarts of ice cream later, I’m still completely hooked. 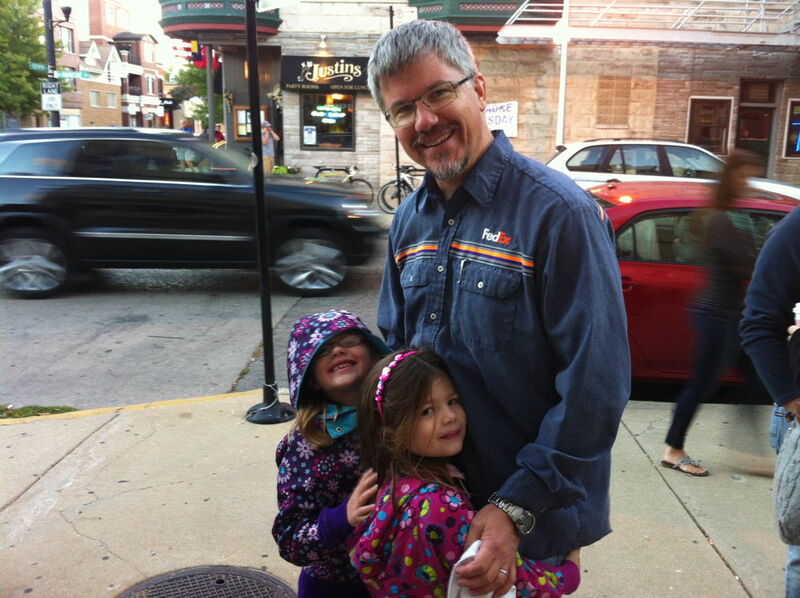 Jon and I went to Jeni’s for our 13th anniversary last week. Flavors: (on top) black coffee, queen city cayenne, brown butter almond brittle; (on bottom) brambleberry crisp and askinosie dark milk chocolate. 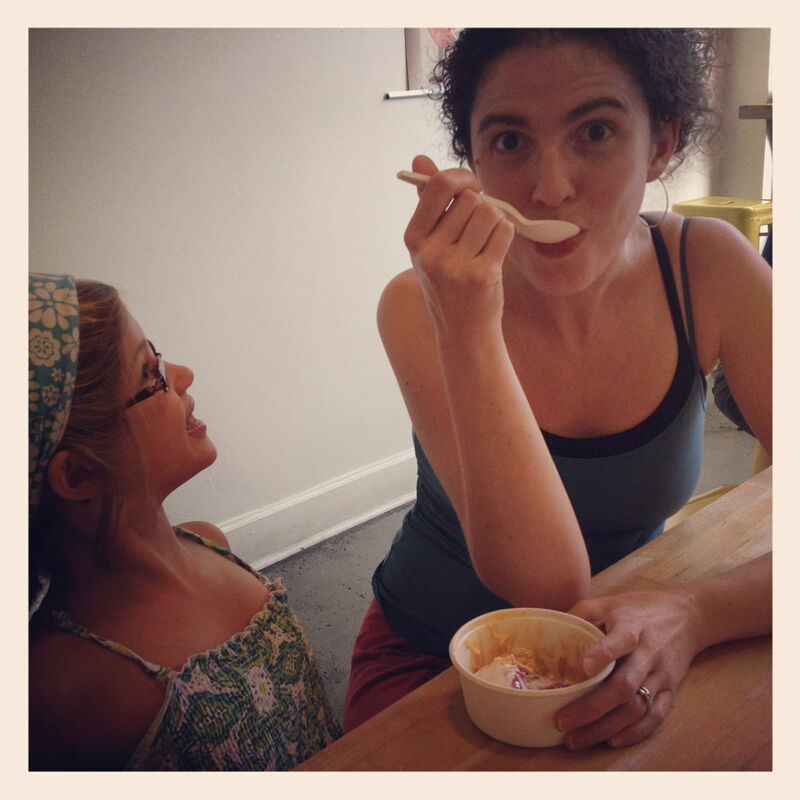 In July 2012, en route to Washington, DC, I convinced my family (twice) to go just a teensy bit out of our way to visit a Jeni’s Scoop Shop. It was glorious. I think I sampled fifteen ice creams at that first shop, as well as purchasing a four-scoop dish and asking all of the employees to sign my cookbook. It was a blast to experience a serious multi-ice-cream tasting all at once, as opposed to the usual two or three flavors we can make at one time at home. We just don’t have the freezer space for fifteen flavors, nor the manpower to eat them all. Life is hard. 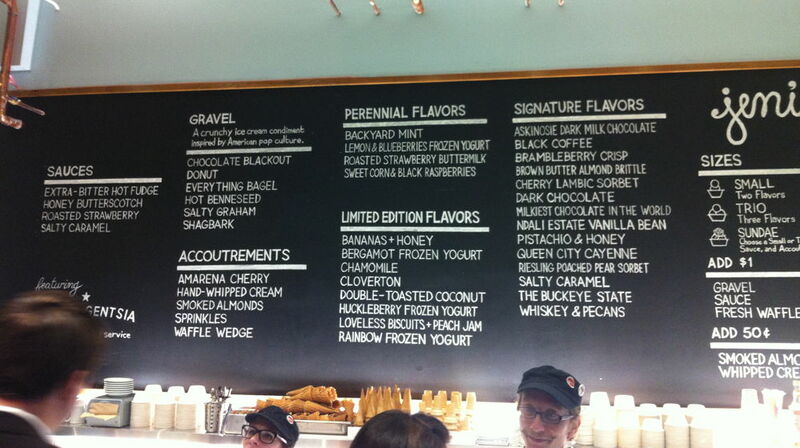 At Jeni’s in Columbus, Ohio. So you can imagine how ecstatic I was to learn that Jeni was opening a store in Chicago, just a few stops away from us on the Brown Line. We stood in line (the whole family insisted on coming!) for an hour and a half on their first pre-opening night, when they were giving away free scoops to all fans. I begged one of the employees to take my phone into the store before it opened and take a photo of the menu so I could plan my flavor combination. I got to meet Jeni and tell her all about how she completely transformed my view of homemade ice cream, and she signed my book. Then I sat down to enjoy my triple scoop of Loveless Biscuits + Peach Jam, Cloverton Cheese, and Sweet Corn + Black Raspberries. A very satisfying evening. Meeting the woman behind the magic curtain: Jeni Britton Bauer. This got me thinking. 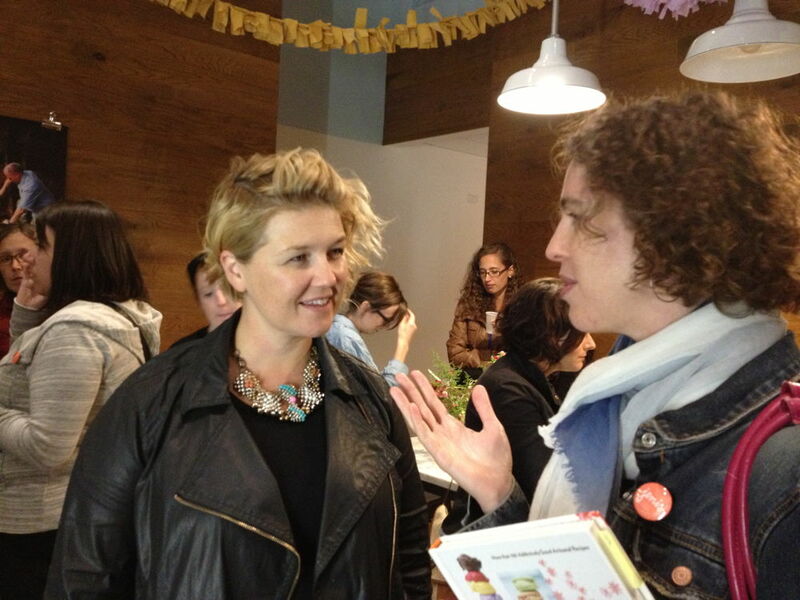 The truth is, although it was a serious perk to meet Jeni herself, I was especially excited about the store opening. I am so pleased that I now have the chance to try all the flavors, especially the extra-unique ones (like Roasted Pumpkin Five-Spice or Bergamot Frozen Yogurt) that I might not necessarily make for my family. I also have the chance to try all of the premium ingredients that Jeni searches the world for (like the different chocolates she uses in her three different chocolate flavors — all, amazingly, very distinct!). I am really looking forward to tasting more of the confections she describes in her book, like ice cream sandwiches and sundaes. I have made a couple, and they are fabulous, but it can take literally four or five days to make all of the components. And wouldn’t it be nice to have someone else do that for you, say, on your birthday? 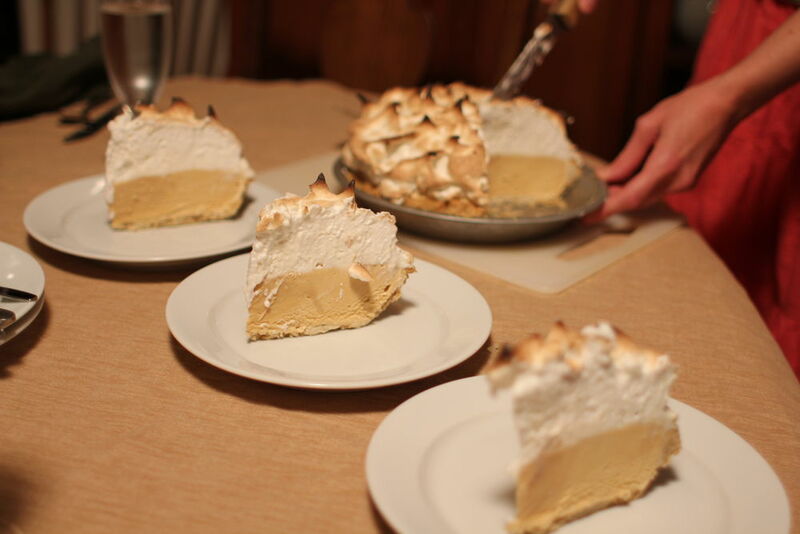 Baked alaska pie with salty caramel ice cream — totally spectacular. Perhaps the best comparison I can make is that having a local Jeni’s store is like having an amazing wine bar nearby, except cheaper, and with sugar and butterfat instead of booze. That’s my style. Coming from a background in Weight Watchers, I’ve been a devoted Edy’s Light fan for many years, and while I don’t have anything against the slow-churning low-fat process, I’ve discovered that having heaping tablespoon of Jeni’s scooped into an espresso cup is more satisfying for my 100 calories than a half-cup of Edy’s. Plus, it’s just awesomer. Even plain old vanilla isn’t too shabby. This is Rosie’s favorite flavor. But undoubtedly, it was a delight to meet the woman who changed my whole experience of the homemade ice cream scene. 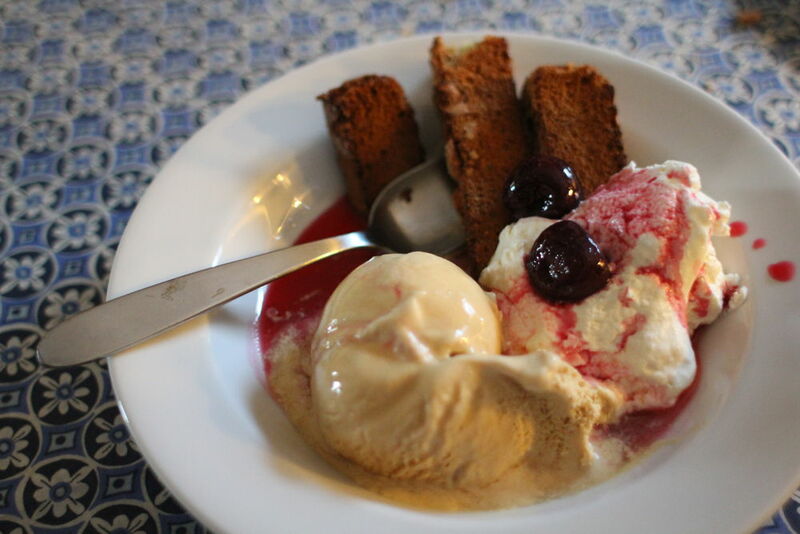 Jon likened her to Julia Child in my life, freeing me to achieve what I had believed was impossible (incredible homemade ice cream) just as Julia freed American housewives to achieve what they believed was impossible (fabulous homemade French cooking). I have been inspired by Jeni’s creative flavors, empowered by her unapologetic use of cream (which always alarmed me in the past), and delighted by her spectacular sundae combinations. It was a very special moment to tell her in person how she has impacted my kitchen and my life. Jeni’s streusel recipe is a force to be reckoned with. This is, perhaps, my favorite ice cream mix-in, particularly with cinnamon ice cream. So, now what? Well, I’m still making Jeni’s Ice Cream, and certainly will whenever I’d like a quart of a particular flavor (Salty Caramel!). 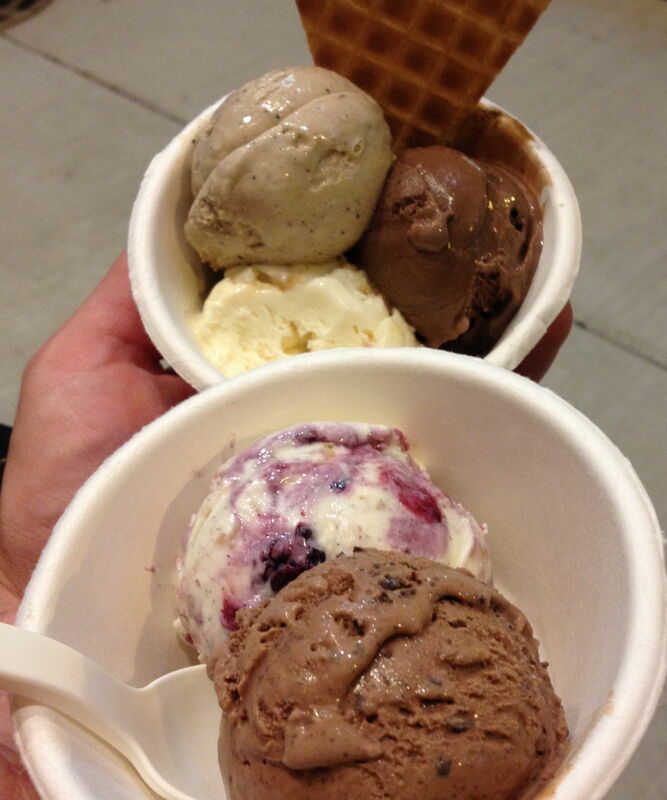 But I am frequenting Jeni’s as often as I can. My friend Dora and I closed the place out a few weeks ago, chatting away with the servers about ice cream and tasting a dozen flavors (this is after we had eaten the bowls we’d ordered). I’m delighted to learn that Jeni has a second book coming out next year. And I’m so grateful to her for all that I’ve learned about making ice cream. Thank you, Jeni Britton Bauer! Looking for a recipe? 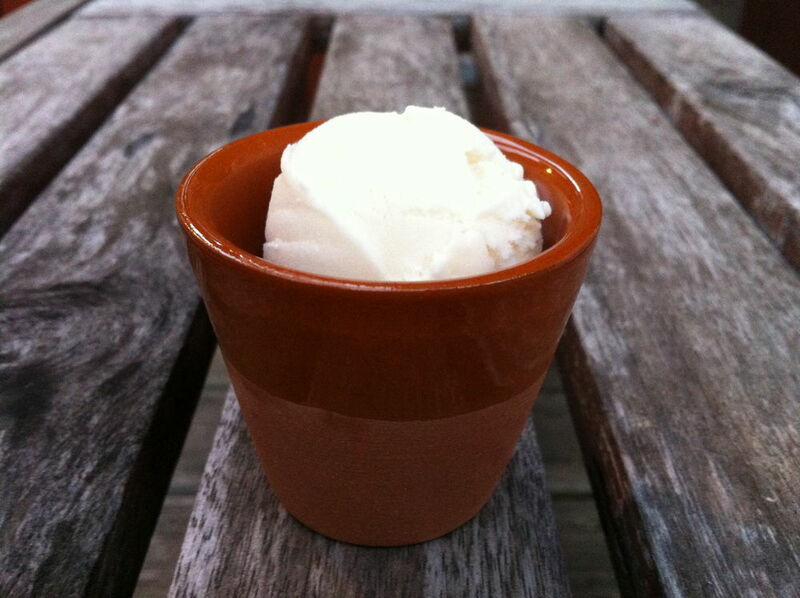 Check out my Jeni-inspired recipe for roasted cinnamon ice cream, as well as other Jeni’s ice cream links on that post. Happy freezing! Oh! Great article. Can’t wait to visit the store sometime. got the book for Emma this summer, since we were making lots of ice cream for the farm crew lunches. Had to be some reward for all of that hand-cranking! 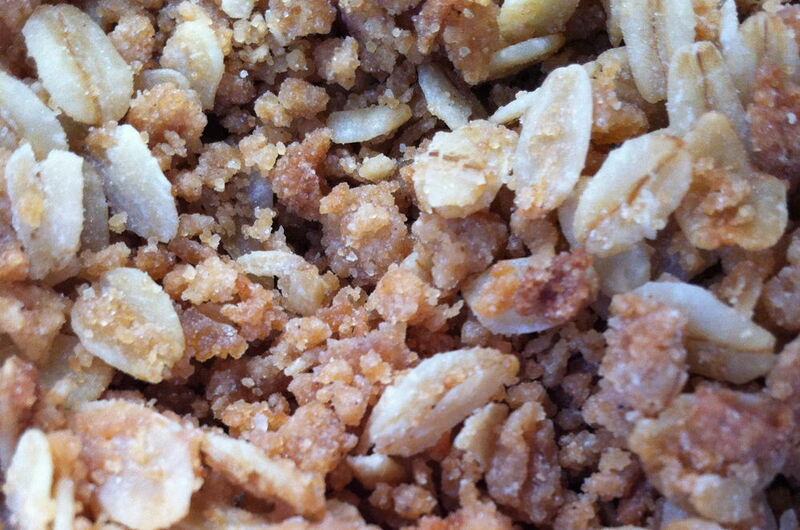 recipe for streusel, please!